I remember hearing once that you could eat at a different New York restaurant for every meal, year round, for your entire life and still never run out of new restaurants to try – such is the pace of change and turnover in the restaurant industry here, where restaurants need to attract a faithful following in order to ensure success. With so many choices then, making decisions about where to dine out in New York can sometimes seem overwhelming. The following list includes many of our favorite places for relatively quick meals or for gathering provisions for picnicking or cooking at home. I hope this can be a helpful guide to orient your New York culinary adventures, and if you have a specific question or need a more targeted suggestion, don’t be afraid to ask! 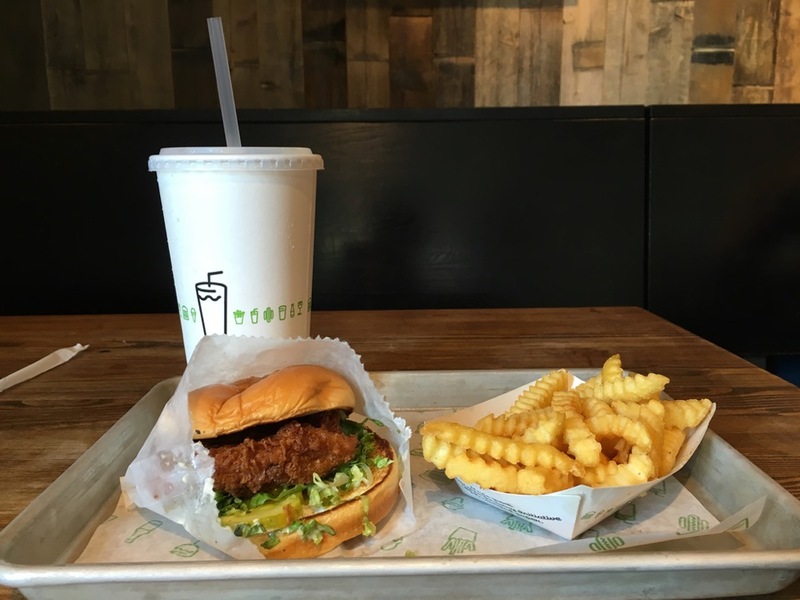 Shake Shack is the epitome of the little local chain that’s made it big: with 16 locations in New York City (not to mention 15 other American states and 5 other countries, including three locations in London! 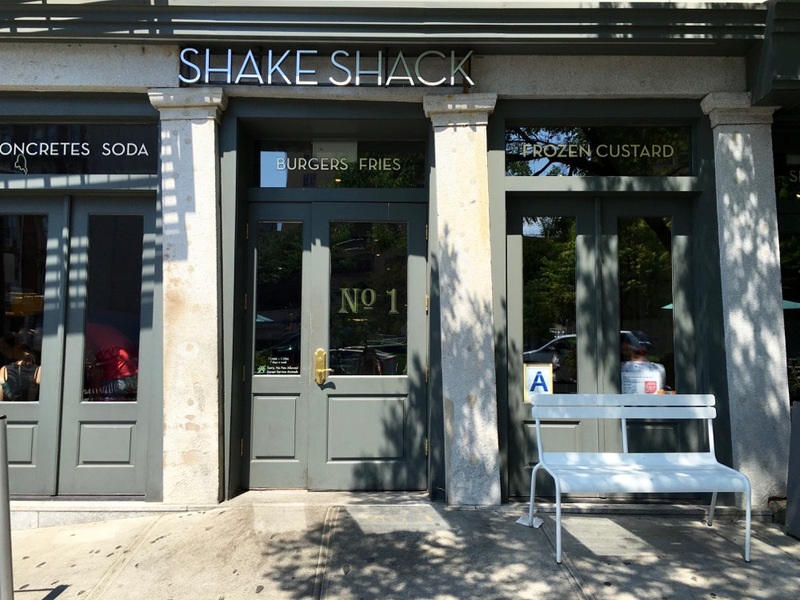 ), you’re probably never far from a Shake Shack regardless of where your New York adventures take you. Lines at the original location in Madison Square Park can be long, but other branches seem more relaxed. The original ShackBurger is never a bad choice, but since it was introduced we nearly always go for the Chick’n Shack instead – a fried chicken breast sandwich with herbed buttermilk sauce. Add crinkle fries and some frozen custard for dessert and you’re good to go. Num Pang’s elevated Cambodian sandwiches are great for quick meals on the go, and six branches mean more places to buy them. I especially love the five-spice glazed pork belly sandwich with Asian pear and often add a blood orange lemonade. Some locations have more expansive menus and more seating, and offer rice bowls and noodles in addition to sandwiches. Taïm means ‘tasty’ in Hebrew, and this pocket-size falafel restaurant is assuredly delicious. Neither location (West Village and Nolita) has much seating, so it’s often easiest to get your order to go if the weather is nice. 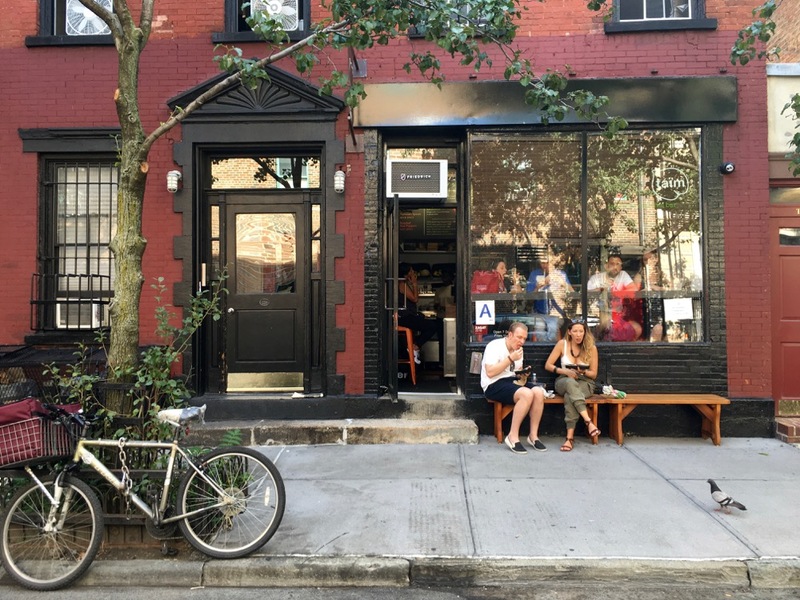 Walk west toward the Hudson River and find a bench along the water if you visit the West Village location, or walk across the street to the DeSalvio playground if you’re in Nolita. Food halls or modern food courts are a somewhat recent trend in New York dining, bringing together outposts of many city favorites under one roof and making it easy to please everyone in your group. Hudson Eats at Brookfield Place in the Financial District, Urbanspace Vanderbilt near Grand Central Terminal, Gotham West Market in Hell’s Kitchen, Berg’n in Brooklyn, Gansevoort Market in the Meatpacking District, and City Kitchen in Times Square are great examples. Chelsea Market started this trend nearly 20 years ago, and is still going strong today. New York is a pizza town, with inexpensive slice joints everywhere. 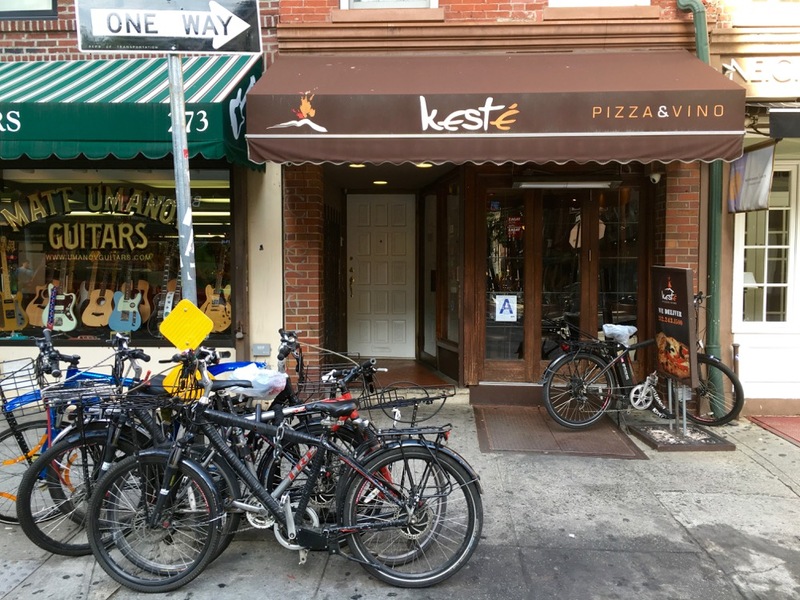 If you’re looking to sit down and have more of a proper meal, we like Kesté, a Neapolitan pizzeria in the West Village, or Motorino, with locations in the East Village and Williamsburg Brooklyn (not to mention Hong Kong, Manila, and Singapore!). Despaña is a Spanish foods purveyor in Soho, offering a little counter at the back with tapas and sandwiches in addition to shelves and cases full of enticing imported olive oils, canned goods, meats, and cheeses. Next door is their wine store, with a well-curated selection of wines, ciders, and spirits. 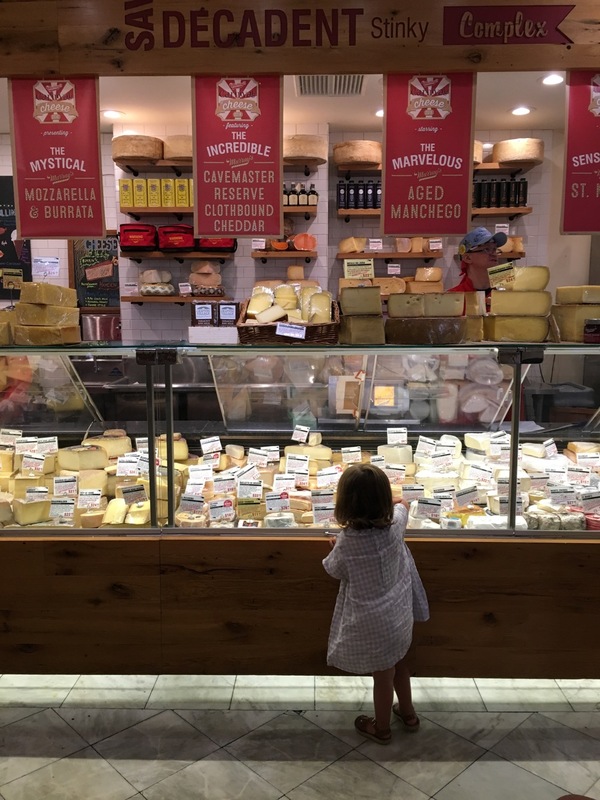 I love cheese and I love Murray’s Cheese Shop in the West Village. Stop in to buy provisions for the best picnic of your life, or stay and have a fancy grilled cheese sandwich. With more cheese, meat, and specialty groceries than you’ll know what do with, it’s nearly impossible to leave without a full bag of treats. The outpost in Grand Central Station is an excellent stop in Midtown, perfect for packing a picnic to enjoy in nearby Bryant Park. Not in New York? Have Murray’s ship to you! Eataly, a giant Italian foods emporium in the Flatiron District, offers everything from groceries to specialty counters (think focaccia and gelato) to sit down restaurants. 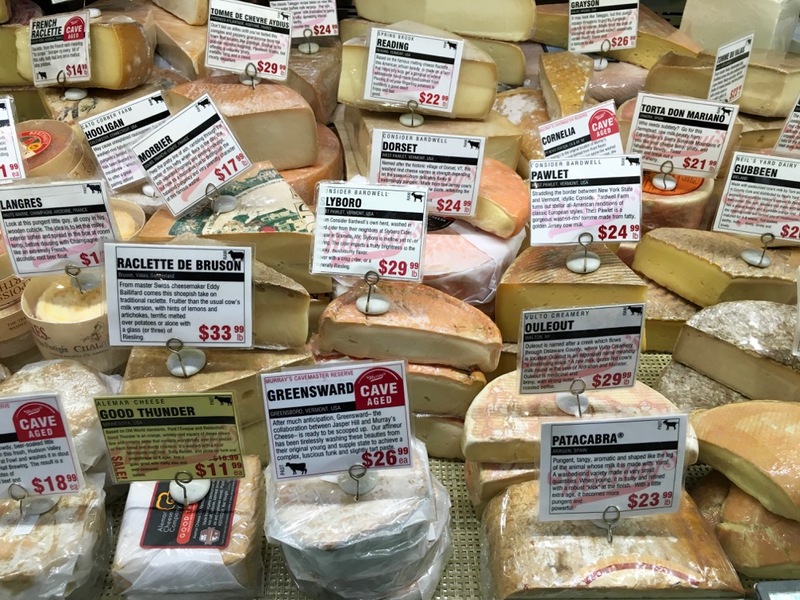 Zabar’s is a New York institution and a great stop for filling your picnic basket if you’re on the Upper West Side and heading to either Riverside Park or Central Park. 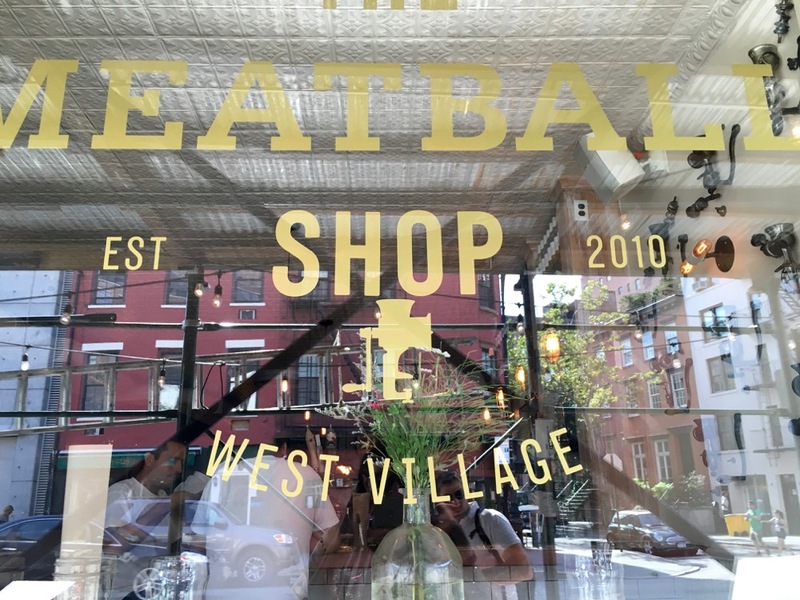 The Meatball Shop, with six locations, is a sure-bet kid pleaser. Choose your meatballs, your sauce, make it a sandwich, or add any number of sides. The ice cream sandwiches are an enticing dessert option. Bagels are an iconic New York food, but it’s easy to find sub-par examples. For bagels that are hand-rolled, boiled, and then wood-fired, we like Ess-a-Bagel in Midtown or Absolute Bagels near Columbia University. 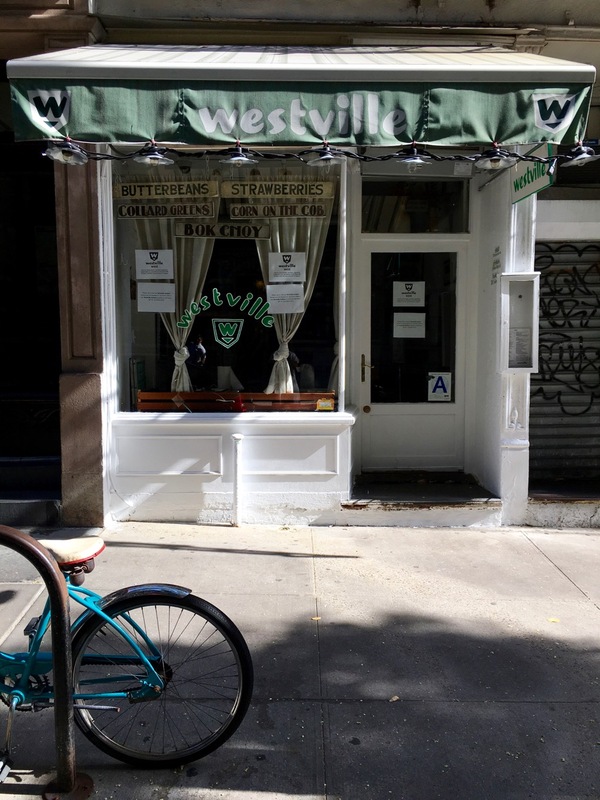 Westville’s four locations offer offer expansive menus or eating in or taking out. Salads, sandwiches, and burgers are all prepared with fresh ingredients and served in a casual setting.